2014 has been a year of change. So many things had happened, big, small, good and bad, all I can say is that I am thankful. Or to be exact, I choose to be thankful because some things are out of our control. I thank God for the great things that happened in my life, things such as getting a job that allows me to travel and experience different cultures, having the opportunity to do what I love which is writing and blogging, and to meet new people as well as reunited with friends that I've not seen for a really long time. I also thank God for the unpleasant moments and experiences because they are priceless, a lesson learnt for me to prepare for my future self. Not only making me stronger and more mature, but it also taught me about humility and the gift of silence. Being in an age where technology abounds, memories are all in a form of soft copies. Not photographs, not photo albums. Who can blame us really, we love our smartphones, we love our social media, and we love our hard disk. We are all so digitalised that it's almost hilarious when I find myself being super excited when I see a photobooth that instantaneously prints my pictures. Interestingly, is not just because I like getting my pictures taken, I mean come on, I can selfie anytime with my iPhone, but it's the thrill of getting your pictures printed. 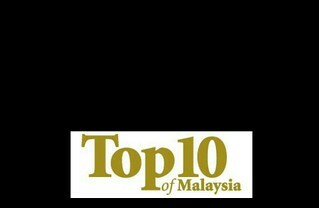 So I'm glad to be able to collaborate with Canon Malaysia to reignite the photo printing culture in Malaysia. It's not just for the young people, it's for people of any age. And this time, you no longer have to run out to the shop to get it done, you can print them at the comfort of your home. The advancement of printing technology has made today's photo printing easier. 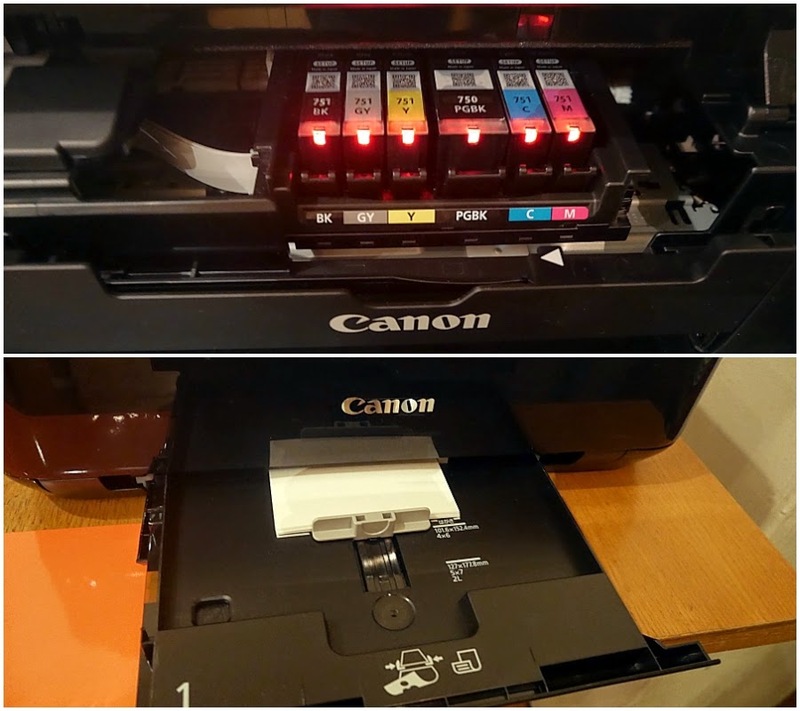 Leveraging on this, if you have a mobile device with Near Field Communication (NFC) technology, you can now print your photos by just tapping your devices to the printer. Otherwise, you can still connect your devices through Wi-Fi and print your pictures without an external/additional wireless router. I had the opportunity to experiment with the new Canon's PIXMA MG7570 All-in-One printer that offer features such as NFC and Wi-Fi. Obviously, I'm no android user, so I went all out with the AirPrint function like there was no tomorrow! Can you imagine how gleeful I was when I finally found the use of my print button after using iPhone 5 for about two years. It was exhilarating! How to use AirPrint function for iPhone? Go to settings and connect your Wi-Fi to the printer. Get into your photo album and select one picture (or more) that you would like to print. Then tap on the icon (box with and arrow pointing upwards) at the bottom left of the screen. It will appear as such on my picture (1) in the collage above. Swipe the bottom to the left till you see a print icon, tap it. Select your printer as shown in picture (2) and (3), and select the number of copies you would like to print before actually tapping on the print button. If you've just switch the printer on, it will need a while to warm up, but once you got the first one out, it just keeps printing till the job is done. It is so quick and sooooooo easy! Literally, I was overwhelmed in delight for such straightforward gadget. It was fun! The other great part of this printer is the 6 individual ink cartridges for a more wallet-friendly system, as well as its double front paper cassettes to load two different sizes or types of paper at the same time. Also, it comes in 3 colours, black, white and orange. I personally love the orange one as it has a matte finishing on the exterior. Storing soft copy pictures is certainly more convenient but nothing beats the physical touch of a photograph. It's not only for you to show off to others on some of your proudest moments, it also serve as a reminder to you of your most precious memories and people in that season of your life. Watch a video featuring us! Contest ends on 25th December 2014, 12pm! All the best and have a Blessed Christmas! The best memory of 2014 that I cherish and remember so clearly would be my visitation to an orphanage in Petaling Jaya with a close friend of mine.We decided to buy the 30 kids at the place lunch by ordering 20 large pizzas and I also managed to get the Paddle Pop Ice-Cream man on the motorbike to drop as well. Those smiles and large squealing from the young kids would melt even the strongest person out there. Now with the photos I photographed on the day itself, having the Canon PIXMA MG7570 would enable me to print those priceless smiles and grins out in photos and put them into an album and distribute it to the Orphanage that we visited. I believe as a person, when we group up, the daily experiences over weeks, months and years do play an important role in in showing how much has change and coupled with the priceless memories of photographs to remind us of it. This might be a small but meaningful contribution a person can share but I believe this simple gesture would give these orphans a happy memory this festive season. The little gestures and deed we do in Life makes the most amount of impact. Be True this festive season with The Canon's PIXMA MG7570 All-In-One printer. 2. We can use our NFC mobile devices to print photos on the Canon's PIXMA MG7570 All-in-One printer by just tapping it onto the printer. Hohoho, merry christmas to me lor~! 3. Photos of my old little baby of 19 years~!!! 3. Spending the final week with my now Ex, imprinting the bitter sweet moment deep down in my heart. 2. Print your photos by just tapping my devices to the printer. 2. By using NFC, I can print photos from mobile by just tapping it onto the printer. This makes printing much easier!! 3. My travel photos with love one and instant print for client to share the love!! 1) Black, white, and orange! 2) With Near Field Communication (NFC) Technology, we can print our precious photos just by connecting our phone using Pixma/Maxify Printing Solutions. 3) Basically, the moment I swap out my camera and taking photos, that's the precious moment for me. Our family member's graduation, birthday, the first day of job, relatives come and visit the newborn baby, bring my dogs to the vet, my nephew's first jab, my Disney moments, and more. :) all the kids are now grown up, we seldom have a family dinner as all my siblings are working outstation, call me cliche but I always take a photo of us whenever all the members attended to the dinner. just a simple tap the photos from mobile devices to print photos directly. I set a KPI for myself for year 2014 at the end of year 2013 which is work hard and travel harder. My KPI for my life is to travel somewhere monthly. I am not rich and just a normal office lady. I told myself no matter how I must achieve it even with budget travel. Thanks to the Holy God who sent me good bosses who allow me to take leaves monthly and thanks for my staffs who supports me in my absent.... and now (December), even me myself cannot believe this... I am proudly announce i had achieve my Life KPI for Year 2014!!!! For me, this is truly a miracle! The mission is hard but it's possible! I would love to print out the pictures taken during my trips and share with people who kept complaining "no money how to travel", also to share with those who kept joining luxury tour package on things that they will not see in the local culture :) I need the printer seriously!!!! 1. What colours do the Canon MG7570 AIO photo printer come in? Black, white and orange. 2. What does the latest NFC feature of the Canon MG7570 AIO photo printer do? by installing Pixma/Maxify Printing Solutions app, we can printing all pictures we want from our smartphone by connecting it to Canon MG7570 AIO photo printer. 3. Tell us what is your best 2014 memory that you cherish and would print out on the MG7570 as a keepsake? my graduation's day on mid of 2014, i still keep the pictures i took with my friends on my PC. it would be great if i print them and stamp on my wall as my best memory on 2014. 1. Canon MG7570 AIO comes in 3 colours, which are black, white, and orange. 2. Near Field Communication (NFC) technology allows user to print and scan easily by tapping your smart device on the printer. 3. Best memory in 2014 would be visiting Paris and witnessed Eiffel Tower with my own eyes. However, my parents could not join me for this trip as they were busy, not to mention both of them have minor health issues which made it more difficult for them to travel long journeys. I wish I could have won this printer so I can print out all my travel pictures, including Amsterdam, Belgium, United Kingdom etc and tell them my exciting stories in my journey by showing them pictures as well. I mean, if they couldn't visit Europe, I'll then bring Europe to Malaysia... via printed pictures! Thank you Canon and JQ! 2. It allows users to print photos or save scans their NFC-enabled smartphones just by tapping their devices! Awesome! 3. A smiling photo of my parents, reunited after being separated for months due to a horrible incident. I want to print it and keep it close to me no matter where I am. Fingers crossed! Thanks for the giveaway JQ! 2. 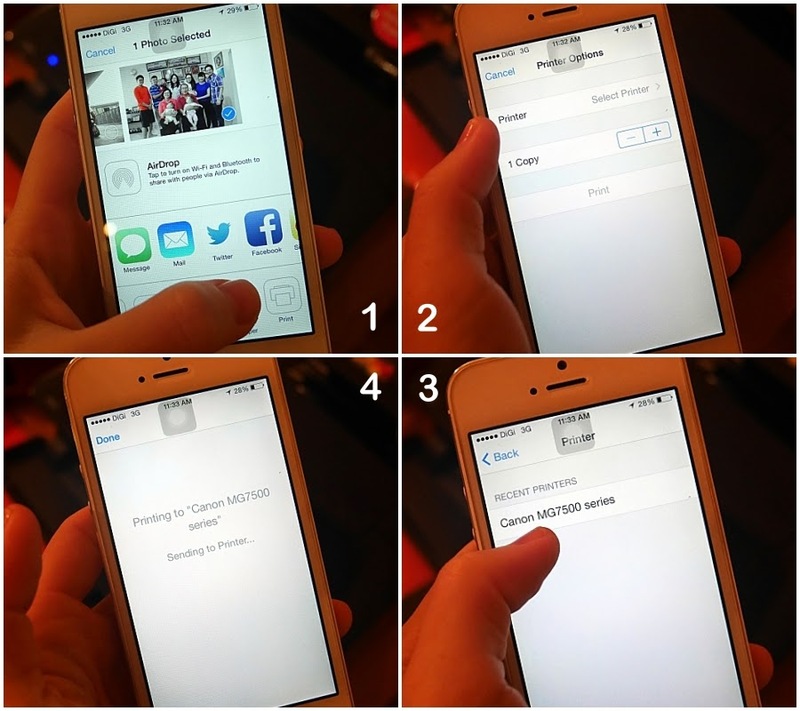 It allows remote photo (and other) printing by tapping the command on your mobile phone. 3. I got married last month and there are a ton of pictures I'd like to print out and frame! My answer to win this giveaway ah! Santa JQ please gran me this wish! 2.With NFC technology, I can just print my photos by just tapping on my mobile phone NFC connect to the printer. 3.Been up & down in year 2014, and one of my best 2014 memory is definitely my trip to Boracay Island with my darling! It is our 10th year dating and I wish to print out the photos so that I could show it to my children, grandchild and great grandchildren one day! Nothing beats flipping the photo album and reminiscing the good old times! 2. Printing memorable photos taken with phone, just by tapping the mobile to the printer. 3. The best memory? There's just too many, whether it is with family, friends, lover, personal-achievement or my creative journey- all captured, making it timeless. 2. By the tapping the phone onto the printer. 3. My most memorable moment in 2014 has got to be the birth of my nephew in October 2014. My brother and sis in law have been longing for a baby for 5 years and finally they have a beautiful boy this year. I'm not a person who is fond of hospitals and I always have this weird feeling whenever I step in the hospital. However this weird feeling totally disappeared when I went to the ward to visit my sis in law. It was very magical and touching when I saw her carrying her baby. And it was even more magical and unbelievable when she let me carry her baby. He looked so tiny and fragile! We took so many photos together and it was really a moment that I'll never forget! 2. Print photos by tapping device to the printer. 2) With NFC (Near Field Communications) technology, I can easily print my photos by just tapping on my mobile phone to the printer. 3) One of the best memories I would like to cherish and print out the photo is a family photo of generations celebrating my grandfather's 77th birthday this year. He was so strong fighting the cancer and he made it to his 77th birthday and it was the largest family reunion ever happen in my family. I want to print the photo out to show all the family members how awesome our family is and how lucky we are to have a great grandfather that went through so much for this family. 3. The best 2014 memory that i cherish and would print out on the MG7570 as a keepsake would be a backpacking trip across Europe with my sisters. Given our varying interests, we have learned to compromise among ourselves to have a good time. We managed to explore interesting places and cities like the Eiffel Tower, The Colosseum, Van Gogh Museum and my favourite is touring the Tower of London. Reminiscing and feeling all sentimental from looking at all the photos that were taken during our trip would ignite how lucky I am to have a tight-knit sisters. The song "We Are Family" by Sisters Sledge has been our bonding theme song! 3. My most memorable moment in 2014 is the early delivery of my baby gal in early January and I'd love to use the MG7570 to print out all her photos and her gor-gor's photos as keepsakes instead of all the soft copies stored in my PC. Ans : Canon MG7570 AIO photo printer comes in Black, White and Orange colour. Ans : The latest NFC feature of the Canon MG7570 AIO photo printer do photo printing by tapping it on your mobile devices. Definately my family photo. I took a lot of photos of my baby boy with my husband and I. And I would like to have them printed out and paste them on my own handmade photo book so I can give it to him when he is grown up. Giving him the advantage of browsing through all the memories he made with us parents when he is still a child is very important for us and him. Memories cannot buy nor repeated hence printing them out and making them into an album is a priceless and memorable gift for him. Can't wait to own the Canon MG7570 this Christmas. Now if i do win,this would be a wonderful Christmas gift I can ever ask for and this will be a valuable motivation to snap even better photographs in 2015. The latest Near Field Communication(NFC) technology allows a person to print their photos by just tapping their devices with NFC capabilities to the Canon PIXMA MG7570 All-In-One printer. Enable nfc mobile devices to connect to the printer wirelessly for the purpose of printing. Memories with the children at refugee campsite at the border of Thailand and Myanmar. #priceless. Printer also pecah! It allows one to AirPrint! Wifi Print! (To Print Over Wifi or with just a few taps on the smartphone). No need cables/plug-ins. So convenient. 1. Black, White and Orange. 2. NFC feature of the Canon MG7570 AIO photo printer allows users to wirelessly print or scan simply by tapping their NFC-enabled device to the printer’s NFC sensor. 3. My first trip to visit Sarawak earlier this year together with my partner, future parents-in-law and their bunch of aunty and uncle friends was very memorable. It was nerve wrecking at first thinking about it as my partner and I were the only young ones in that trip. But it turned out that not only was Sarawak an eye-opener, hanging out with the seniors taught us a lot about life as they were all a jolly bunch. We’ve captured many beautiful pictures together and it would be great to print them all out and keep them in an album. I am sure my future parents-in-law would be happy to see them. Heck, they may even make us print until we’re out of ink so that they can give the pictures away to those who were on the trip with us…hahaha. Thanks for the give-away and wishing you a Merry Christmas!